Chocolate or apple? Most people are in two minds when buying food: one motivation is to purchase whatever tastes best – so something that is generally sweet or fatty. At the same time, we know attention should be paid on health factors and, for instance, making sure we don't consume too many calories. "Often, this deliberation process favors foods that taste good," says Prof. Bernd Weber from the Center for Economics and Neuroscience (CENs) at the University of Bonn. In contrast, products that don't taste as good but may be healthier are much more likely to be left on the shelf. Does it have to be this way? In a study, scientists from the University of Bonn worked with colleagues from Ohio State University (USA) to investigate whether information about food components can convince consumers to increasingly reach for foods with fewer calories. A total of 44 adult participants were first asked to what extent they like 100 different foods. Half of these products – including chips, chocolate bars and cookies – were less healthy foods. The other half – such as rice waffles, crispbread and natural yoghurt – were more desirable for health reasons. The participants were not allowed to eat anything for four hours before the actual test so that everyone completed the study with the same size of appetite. On the computer screen, the subjects were able to choose from two products, one healthy and one less so, the components of which were also stated. In some cases, this meant nutritional information in the form of grams and percentages. Alternatively, the content information was combined with a "food traffic light". Red symbolized, for instance, a high proportion of fats, sugar or salt – while green represented a low proportion. Yellow held a middle position, like in a traffic light. When assessing the data, the scientists took into account the personal preferences of the participants: is the product among the person's favorite foods or did they not like the taste very much? The subjects were above all guided by their taste when the nutritional information shown consisted of grams and percentages. "However, if this information was combined with the food traffic light colors, health aspects of the product played a greater role," says lead author Laura Enax from CENs at the University of Bonn. On average, it was several percentage points more likely that healthier foods were chosen when the traffic light colors came into play than when pure figures were shown on the food packaging. What's more, the researchers tested whether the subjects were only guided by the colors in that the products only featured a green or red label for a single nutrient. "The effects here are much smaller compared with the full 'nutrient traffic light'," says Laura Enax. In a previously conducted study, the scientists from CENS had already shown that the traffic light colors act like a kind of "amplifier" to areas of consumers' brains responsible for self-control. 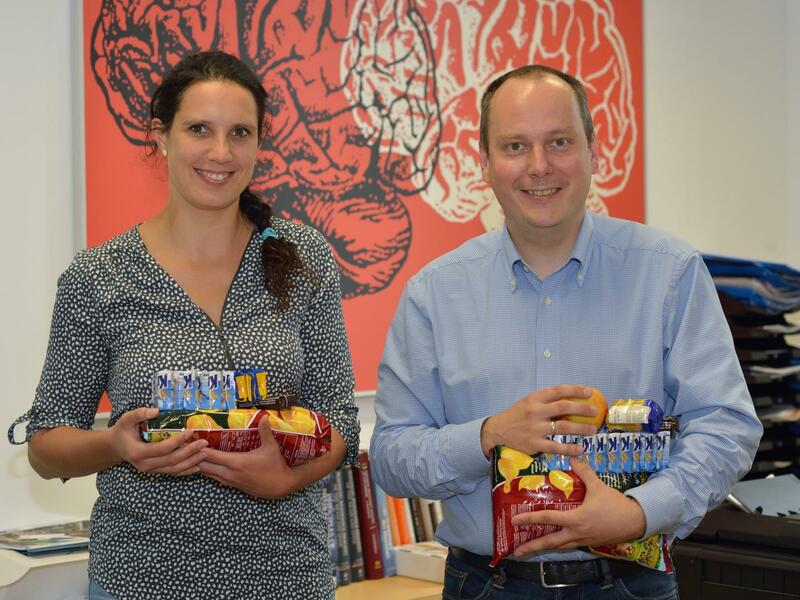 "The current study was about how a better balance can be achieved between taste-related preferences and health aspects when making a purchase," explains Prof. Weber. "The traffic light colors seem to have a much more favorable effect here than pure percentages and grams."